Many people receive a threatening letter from the Internal Revenue Service (IRS) and accept they've done something wrong. They blindly pay the tax debt and expect the matter to be closed. Would you believe that the federal government is sometimes wrong? Here are some common IRS mistakes and the steps you can take to set the record straight. The IRS mails millions of letters, and nearly all of them are computer-generated. When you rely on an underfunded staff and outdated electronics, mistakes are bound to happen. For example, as recently as 2013, the IRS admitted to calculating interest incorrectly on CP2000 notices for underreported income. At the same time, the federal tax collection network has a substantial backlog of correspondence from frustrated taxpayers. IRS agents receive more than ten million letters each year. Most go to centralized processing units and are handled by customer service agents who possess little or no background knowledge of a particular case. The IRS's correspondence backlog has doubled within the last decade. Even the National Taxpayer Advocate has raised concerns about the disconnect between individual taxpayers and the bureaucratic IRS. 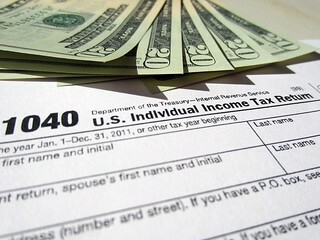 When you file electronically (e-file), your tax information goes directly to IRS computers. When you mail a paper return, a clerical employee reviews your paperwork and types the data into a computer line by line. Each keystroke becomes an opportunity for a data entry error. The odds increase if you handwrite your tax return instead of typing it. Wrong Social Security Number (SSN): The data processor mistypes your SSN, assigning your tax burden and any refund to someone else. Wrong taxpayer: Your spouse makes payments toward a joint return, but they never reach your account. The problem increases if your family is filing jointly for the first time or switches from filing jointly and separately across tax years. Wrong income: You've been credited with more income than you actually earned, such as when you use your SSN to open a child's savings account. You may even be taxed on exempt income, such as interest from municipal bonds. Wrong tax year: The clerical staff may post your back tax payments to the current year or fail to deal with an overpayment from a prior year. Missing schedules: Someone tosses your attachments into a shredder instead of entering the information into the IRS computers. Partial corrections: A clerk makes a mistake, corrects it, but does not correct the interest and penalty charges that the mistake caused. Organize your records. Keep tax returns and your network of documentation for a minimum of three years. Six or seven years is even better. Keep details about all communications with the IRS. Send correspondence with proof of delivery. Hire a professional with tax defense experience. Don't be afraid to appeal. You can speak with the auditor's manager, the IRS appeals office or the Taxpayer Advocate Service. You can even have your day in court.